In our frantic weekly supermarket shop there is barely time to contemplate where our food has come from. Visiting a ranch in the midst of potato harvest really opened my eyes to some of the processes involved. This ranch were harvesting seed potatoes. These are sold to farmers in March to be used to grow potatoes plants for huge commercial enterprises such as restaurants and grocery stores. Seed potatoes, must be a certain size, texture and have four eyes (where shoots grow from). To get these perfect seed potatoes, fit for selling is not only a labour intensive affair but also a precise science. Particular, expensive and specialised tractors are used for the harvest. The potatoes are planted in May using a specific tractor which drops the potatoes onto the ground and shovels earth over them. 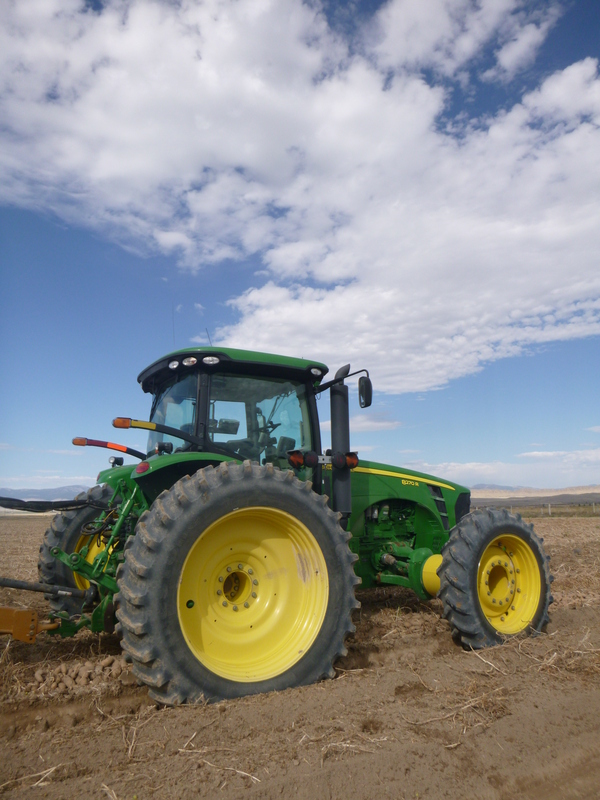 This tractor uses a GPS device to locate the best places to drop the seed and to do it in precise straight lines. Water is irrigated into the land using a pivot system. This has hoses along a straight line which move around 360 degrees. Consequently, the hoses on the end are a different size and release water at a different pressure to the hoses on the inside. Everything is calculated precisely and linked up to computers. In September is the intense three week harvest. A combine tractor digs up the potatoes, it sifts through and only collects potatoes of the right size. It then passes them over to the collecting truck which drives along side the tractor. There are four collecting trucks used to the relay the potatoes to the sorting area. In the sorting area mud is removed and any bad potatoes are chucked. This is done on a conveyor belt with people standing either side. 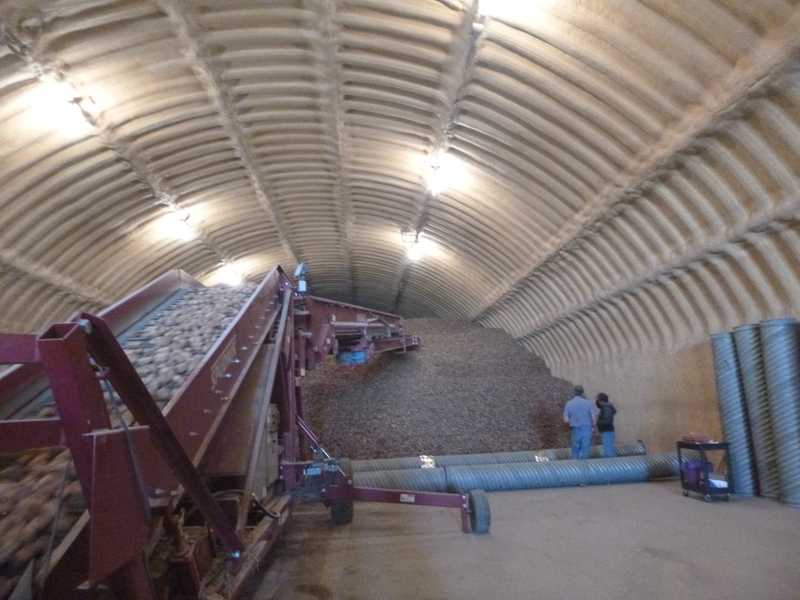 The potatoes are then passed to the end and placed in the storing unit. 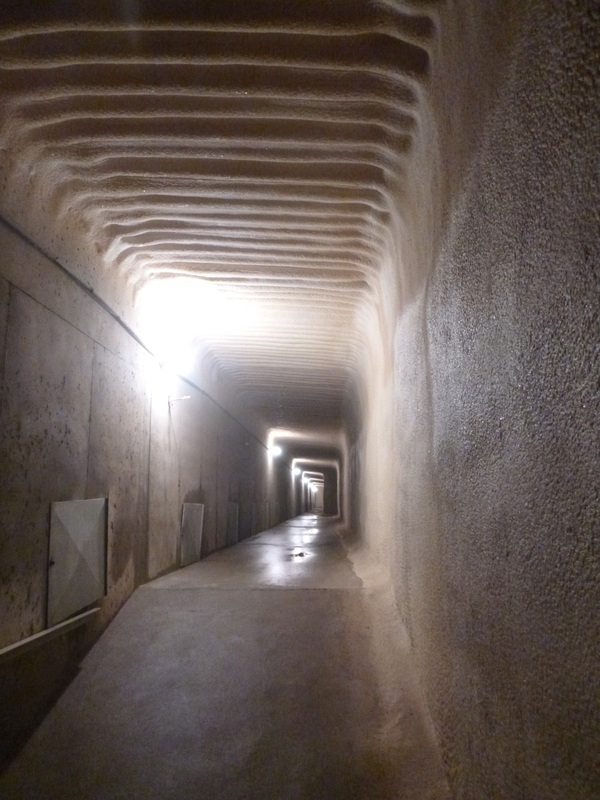 This is kept dark and cold meaning the potatoes can be kept well until they are sold. There are massive metal pipes surround the storing container which are fanned keeping the temperature cool. After our tour we got to collect the potatoes left in the field that were not fit to sell.